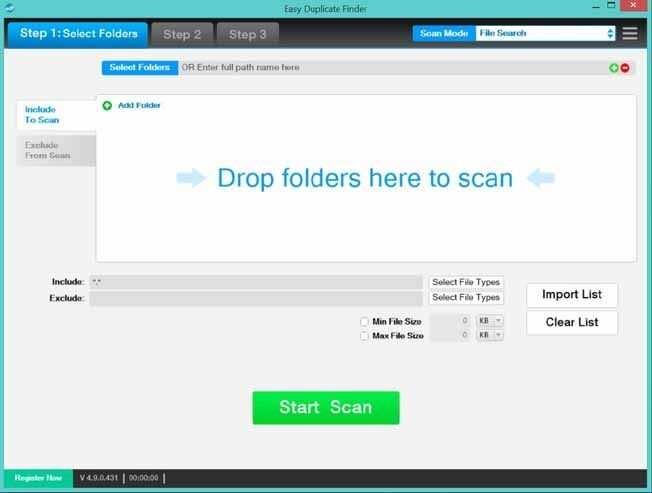 Free download Easy Duplicate Finder latest version. EDF is a software application which helps you to find out the duplicate files in your PC. If you deal with different files and documents, you usually have mess up of hundreds of file. And the day comes when your limited disk space blinks and notify you that there no enough space for more items. At that time you have to delete many of the duplicate files saved in your hard drive. But this is quite a tough job when you have to find out the duplicate file among hundreds of files in your PC. Easy Duplicate Finder, as the name is showing it helps you to find out file which has been saved in various locations in your PC within no time. Now talking about the installation process, you don’t need to put much intention to install Easy Duplicate Finder in your PC. The installation process is much simpler and quick. One thing I would like to tell you that EDF can have entry to Windows Explorer for easy and quick scan. Once you have installed the Easy Duplicate Finder you will have three easy steps which will appear on your computer screen in the program. By following those steps you can find out the files which you want to. There are some manual options for scanning the computer. You can search out the size of the files, name of the file, of type of the files as well. You can find out the file by putting the upper and lower limit of size of the file which leads you toward more easy process. You may put the files type which are required to search out or the file types which are not required to search out. All the features, search style which you can think is available in Easy Duplicate Finder. That is why EDF is best in its work.